People are always asking me (actually begging me) for Watkins potato salad seasoning. It was discontinued a few years ago and I have a long list of people looking for it. So as promised, I’m shouting from the rooftops! Watkins has provided us with their top-secret recipe for potato salad seasoning so you can make it yourself! Yay! Potato salad is a traditional summertime favorite. It’s popular at barbecues, picnics, potlucks or any hot weather meals. Many people also make potato salad for holiday dinners in the winter months. 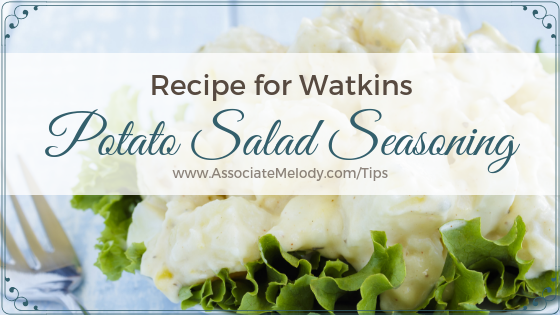 You won’t believe how easy it is and how good your potato salad will taste when you make it with Watkins potato salad seasoning. It is a perfect blend of spices to help you easily make the best-tasting potato salad ever. 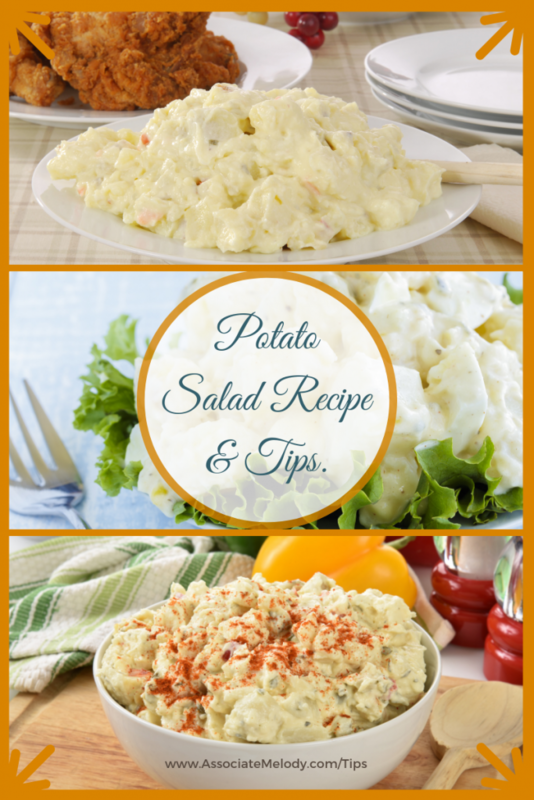 Add two teaspoons to your favorite potato salad recipe or try the quick and easy recipe below. For your convenience, you’ll also find a printable version of the recipe farther down the page. Enjoy! Mix together all ingredients until well blended. Store in an 8 oz (250 ml) glass jar. Once you’ve made the potato salad seasoning you’ll only need four ingredients to make this quick, easy and delicious salad. Boil potatoes in water until just tender; drain and cool. Peel (if desired) and cube or dice potatoes. Add remaining ingredients toss lightly but thoroughly and allow to marinate for half an hour. Chill salad until serving time. Makes 4 – 6 servings. To prepare the seasoning mix together all ingredients until well blended. Store in an 8 oz (250 ml) glass jar. For potato salad. Boil potatoes in water until just tender; drain and cool. Peel (if desired) and cube or dice potatoes. Add remaining ingredients, toss lightly but thoroughly and allow to marinate for half an hour. Chill salad until serving time. As I mentioned above you can use this seasoning to perk up the flavor of any potato salad recipe but it is also great in any potato or egg-based dish. Try adding 1 – 2 teaspoons to potato soup, mashed potatoes, scalloped potatoes, scrambled, deviled or stuffed eggs and egg salad sandwiches. Yum! 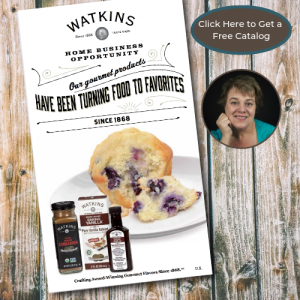 You can find Watkins organic herbs and spices here. 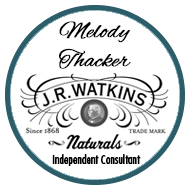 To be completely transparent, you should know that I’m an Independent Watkins Consultant and when you purchase through my link I will earn a commission. 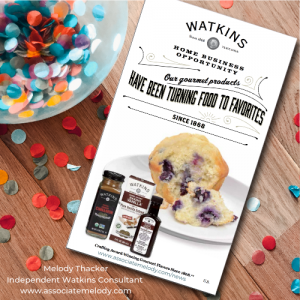 I love Watkins gourmet pantry items and hope you’ll love them too. The best potatoes for making salad are new and/or the waxy varieties. Russet or starchy baking potatoes tend to fall apart or get mushy when boiled so only use them as a last resort. My favorite potatoes are red skinned pontiac or red bliss. I usually don’t bother peeling them because the skin is thin and adds extra nutrition. Yellow varieties like yukon gold are good too. Garnish your potato salad with a sprinkling of paprika, parsley, celery leaves, chives, green onion or dill. Serve it on a bed of lettuce, spinach or mixed greens with dill pickles, beet pickles or cherry tomatoes on the side. What do you like adding to your potato salad? We’d love to know! We were just talking about the pie plates and recipes Watkins had in the early 1980s it sounds like you have a the best ones! When I saw your email I felt as if I had struck gold! My Mom swore by this product and she made a believer out of me.Thank you so much for the recipe. You’re very welcome Vivian. I’ve had so many people ask for the seasoning and I wanted to make sure I didn’t miss anyone. Thank you for taking the time to comment and for letting me know! When I saw your email I felt as if I had struck gold. My Mom swore by this product and she made a believer out of me. Thank you so much for the recipe! I realize you are a consultant, so it would be preferred to buy all the seasonings for Watkins. However, do you think it would taste very different if I just used store bought seasonings and followed the recipe above? Thanks for asking Kati, the taste would be very similar. Be sure to purchase fresh, high-quality herbs and spices for the best flavor.